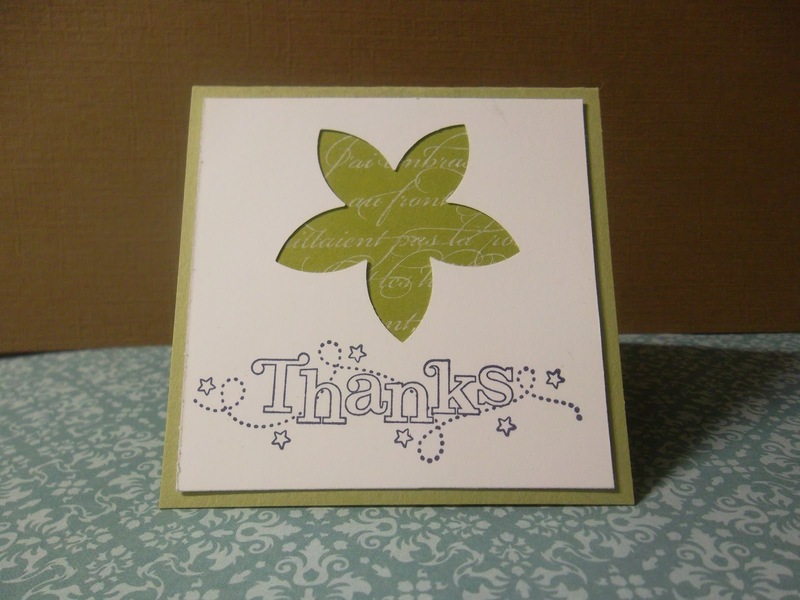 Every month, I try to make a new 3x3 Thank You card for my stamp club orders. Sometimes I brainstorm and plan them on my own, and other times I get inspiration from ones I see on blogs or Pinterest. January's card was pretty simple and quick. I had seen a full card on Stampin' Connection (a demonstrator only website) and I just simplified it (as well as changed the punch) to make it fit a 3x3 card. I write on a little sticky note inside so that the recipient is able to re-use this card. Cute, eh?